Your Shopping List is generated based on your current week’s Meal Planner, so it will contain all the items you need for the full week. 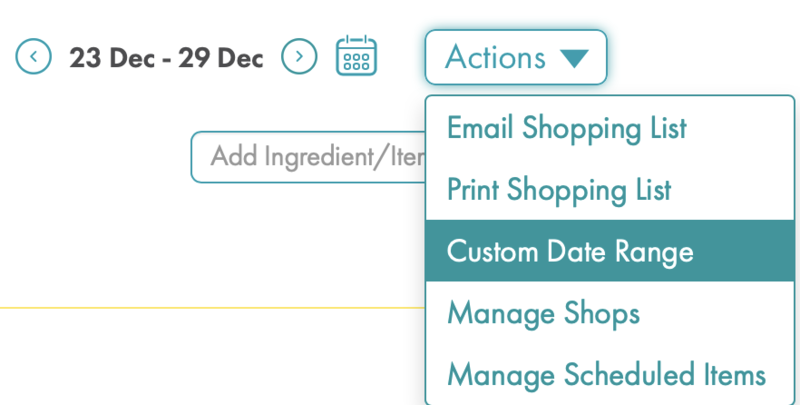 If you would prefer to shop for a few days at a time, you can select a Custom Date Range for your Shopping List. You can even shop for one single day or the entire month! The choice is yours. From your Meal Planner, select “Shopping List”. Your full week’s Shopping List will appear. Click on “Actions” in the upper right corner and then “Custom Date Range”. 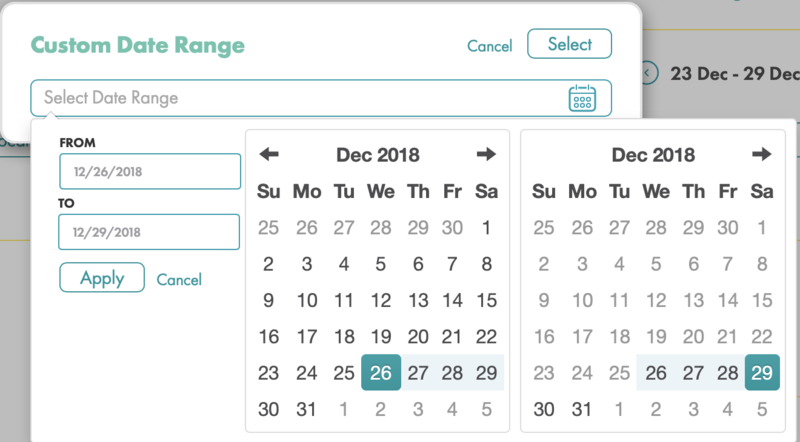 Click on the calendar icon, and select the dates for which you’d like to shop. Click on “Apply”, and the dates you will selected will appear in the Custom Date Range box. Click on “Select” to generate a new Shopping List for only that date range. This is a temporary Shopping List for the date range you chose. If you exit this custom list, your Shopping List will be regenerated for the full week when you come back to it, so it is a good idea to save or print your custom list. 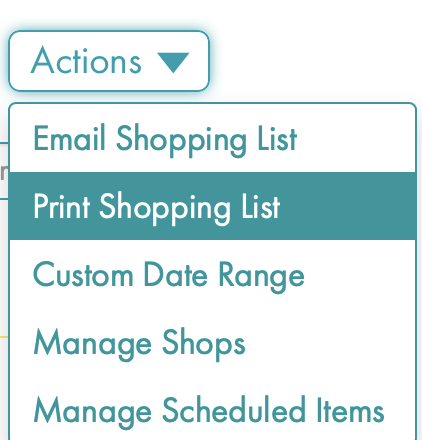 To save or print your Custom Date Range Shopping List, click on “Actions” and then “Print Shopping List”. Select “Download PDF” and use your computer’s PDF reader to save or print your list. Prefer to use the app? You can also select your Custom Date Range from the grocery store or farmers market using our mobile app on your iPhone or Android. Click here to learn how. Happy Shopping!